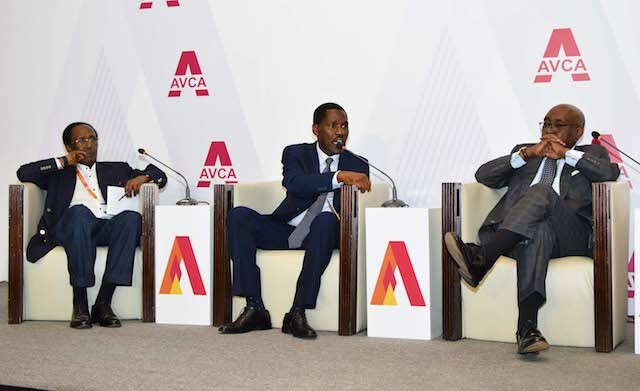 The 16th annual conference of African Private Equity and Venture Capital Association (AVCA) was held from 1st -3rd April 2019 at the Radisson Blu Hotel in Nairobi. A guest post by Marcela Sinda. This flagship conference event for the African continent had a fantastic kick-off and turnout, bringing together private equity and venture capital investors who handle a portfolio of over $1.5 trillion in assets. 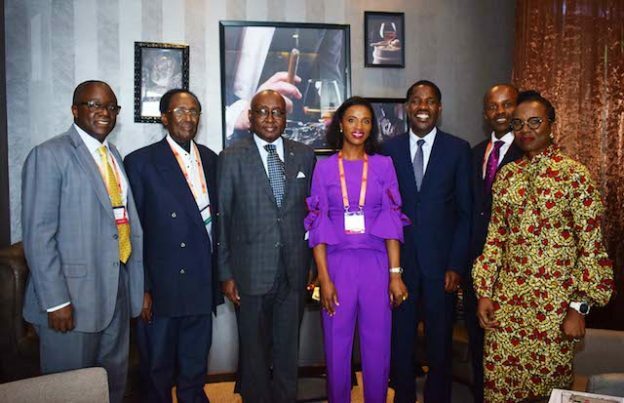 This was according to Kenya’s Cabinet Secretary for Trade, Peter Munya who officially opened the conference on behalf of President Uhuru Kenyatta. The goal of this kind of conference, he said, is to expose investors to the diverse prospective investment markets across the Africa as the continent was now being looked at as any other region, with the focus being around checking due diligence, ethics, looking at best practices and asking the same questions around deal sourcing. DFI’s Role: Kenya is an increasingly attractive investment destination and according to AVCA data, it is the 2nd most attractive country for private equity investments in Africa over the next three years and hence an obvious choice to gather the industry players for this conference. 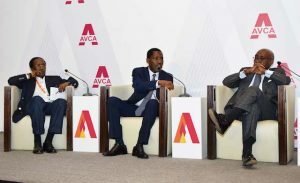 The African PE sector has been shaped for decades by DFIs, and at AVCA 2019, there was some discussion about new DFI strategies for investment across Africa. Maria Hakansson, the CEO of Swedfund, noted that, as a community, DFIs could do so much more when it comes to anti-corruption, e-waste management, customer protection principles etc. and that Africa’s portfolio is constantly outperforming in terms of impact compared to other regions portfolio. Djalal Khimdjee, Deputy CEO of Proparco said SMEs in Africa are essential towards job creation and achieving the sustainable development goals (SDG’s) and that 60% of the 1.5 million jobs that have been created in Africa every month come from SMEs and venture capital firms. He said that PROPARCO and French development agencies had committed £2.5 billion by 2022 to support African MSMEs, including £1 billion through private equity investments. Mathew Hunt, Principal at South Suez Capital shared that one of the reasons why investors are in Africa and especially now is because of the tech-driven growth that’s been on the rise in recent years. Venture capital investments are new in Africa and only a handful of funds have grown successfully. The role of African Development Bank, said Robert Zegers, their Chief Investment Officer, was to now help support the industry and act as anchor investors in these funds as a lot of development agendas can be achieved by generating value through VC’s and great businesses. The narrative throughout the discussion panels was around the real opportunities Africa presents for investment with building blocks in place such as improved policies, the rise in middle-income earners, the Africa Continental Free Trade Area, and enablers such energy, improved infrastructure and technology as pathways that cater for development needs. The most attractive areas for P/E investment were perceived to be consumer-driven sectors (financials, FMCG, agribusiness, healthcare and technology). Deals Galore: VCs are willing and able to take risks and are looking to invest much more than they did previously. According to the AVCA report 2018, VCs invested $725.6 Million in 458 deals a 300% leap in the total funding amount and over 127% increase in the number of deals as compared to 2017. VC fund managers, therefore, need to have great entrepreneurial skills to identify numerous opportunities and create great pipelines for growth and expansion. This is the first generation of PE owners and from the lessons learnt, a good company always attracts a buyer and a great way for VCs to approach funding private companies is to ask; ‘if everything works out, how big can this be?’. But investors ought to be cautious not to misconstrue Africa as a single country with regard to investments, rather, and instead start by breaking down the micro trends in each jurisdiction and analyse the different risks. Investments, not Aid: Charles Mwebeiha of Sango Capital urged investors to look at Africa while investing, like any other region in the world noting that many times, investing in Africa is made to sound like some sort of assistance. He offered that the issue should be whether returns can be made and reiterated that with good strategies, there is money to be made in Africa. Women: It was also highlighted that having a gender-sensitive lens when investing is an imperative for an inclusive and fair investment strategy and that, especially in Africa, the number of female entrepreneurs supported is a key metric. There is an even split between male and female entrepreneurs on the continent but less than 2% of those women are getting formal funding as they are often working in hidden, informal sectors. Exits: A major area of discussion was around exits. Carlos Reyes of the IFC, pointed out that; “to prepare companies for exits, we try to improve reporting standards, corporate governance and we look at the bench – so if the entrepreneur leaves, who can come in? The succession process is quite important.” Exits are not the easiest but they are not deal-breakers and good exits can be achieved. At Leapfrog Investments, they evaluate exits right at the beginning, by sitting down with the owners to try to understand their dreams for the future so as to align funding with their plans for exiting. Predictions: And finally, taking a forward look at the sector five years into the future, George Odo, Managing Director of AfricInvest Capital Partners observed that there would be more capital raised from African economies, more policy changes required to mobilise pension funds, much more experienced fund managers, and also more EA players paying attention to Ethiopia. This entry was posted in ADB, africa venture capital, DFI, EAVCA, IFC, Kenya economic growth, NSE investor awareness, Proparco, SME solutions and tagged Africa Rising on April 9, 2019 by bankelele.